Free apps sometimes try to rope you into in-app purchases to make a profit. Not so with Amazon's new approach to free software, though, as the online retailer is offering over $10,000 in apps, games and even those in-app add-ons at no cost. Yes, it sounds too good to be true on the surface, but Bezos & Co. will compensate developers based on how long you use their apps. Amazon will shell out per-minute payments in exchange for developers nixing any fees, which means for the software is free to download and use. 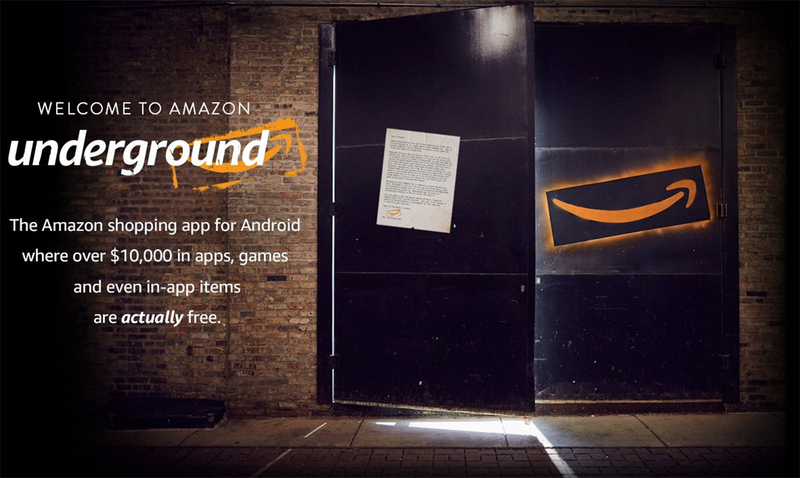 Since Google Play's rules don't allow for apps that serve up other apps or games, you'll have to download the Underground app directly from Amazon. And when you do, look for the "Actually Free" designation for items that are included in the new initiative.